John joined North American Aviation in 1963, and was initially assigned to present Apollo spacecraft systems familiarization briefings. He prepared and presented courses on the "Carry On" Ground Support Equipment (GSE) used in the checkout & acceptance testing of the Apollo Command and Service Modules. He also conducted "Common Usage" GSE equipment courses for Grumman Aircraft engineering and test personnel who were assigned to checkout and perform acceptance testing of the Lunar Module (LEM) at Bethpage, NY. John presented these courses to North American Rockwell and NASA engineering and test personnel at the manufacturing facility in California, and at the launch complex in Florida. He was later assigned to conduct courses on the Apollo Telecommunications and Stabilization and Control Subsystems of the Apollo CSM for Astronauts and NASA Flight Controllers. John worked with the training team, under the direction of Astronaut General Tom Stafford, to brief the Russian Cosmonauts in preparation for the Apollo-Soyuz mission. He coordinated the development of programmed instruction textbooks for the NASA Flight Control unit. He was also a member of the National Management Association (NMA) and active in this capacity at the North American Rockwell Space Chapter. He was elected to the office of Secretary of the Space Chapter, and later as Vice President. As VP, he prepared a management-training curriculum for the general membership, consisting of 1200 personnel. He also conducted management development seminars for the Southern California Area Council of the National Management Association. 1. Outstanding Performance Award for presenting 1000 hours of Apollo instruction. 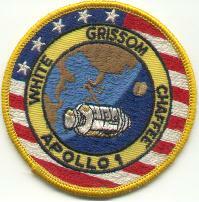 Presented by Astronauts Tom Stafford, John Young, and Gordon Cooper. 7. Commendation by the USAF Air Defense Command for services performed as a field engineer for Hughes Aircraft Company on the weapons control system of the F106 . This service gave foundation and experience for a later assignment with Rockwell International in working with the NASA as a contractor representative in their training department at NASA JSC in Houston, and the Kennedy Space Center (KSC) launch complex in Florida. Current hobbies include vintage boat restoration, with occasional cruising and fishing on the river near Pickwick Lake, and participating (as health & time permit) as a new member of the Institute of Learning in Retirement (ILR) at the University of North Alabama (UNA).